2011 was an amazing year for D.O. La Mancha. Here’s a look at some of the region’s top American stories. Gregorio Martin-Zarco Lopez-Villanueva, president of the Santa Catlina cooperative, which was on the 2011 USA Roadshow. La Mancha’s harvests dropped 15 percent in quantity. Ciudad Real fell 20 to 30 percent because of mildew. But, this occurred across Europe. According to this San Francisco Chronicle story, a cool growing season delayed sugar maturity and ripening fruit. With that said, La Mancha Cooperatives reported targeting better quality grapes vs. meeting quantity demands. This represents a dynamic change in the culture of the region’s winemaking, moving from bulk wine product to higher quality wine in bottles. Understanding the Spanish Wine Cooperatives and D.O. La Mancha: More than Just Bulk Wine, Billy! describe the region’s attitude change in making wine. As indicated in a previous Quixotewines.com blog post and this Tasting Panel article I wrote, La Mancha is perfect for making organic wine. Simply put, bugs and weeds don’t like the region’s climatic conditions or soils. Now that there is huge demand for organic wines, many La Mancha wines are becoming certified organic. 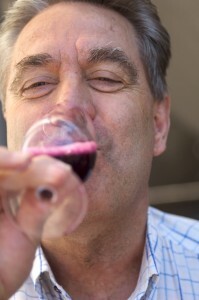 There are also wineries experimenting with biodynamic practices. D.O. La Mancha’s wines continued a year of positive reviews. Notable ones include NickelandDimeWine.com’s Top Deal of 2011 going to the 2009 Volver Tempranillo, which received 92 points from Robert Parker. 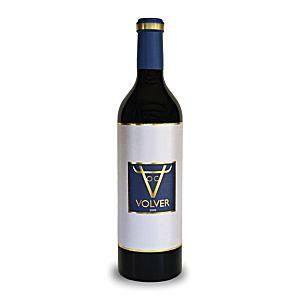 Volver’s 2009 also earned the No. 23 top wine for under $20 on this Seattle Post Intelligence blog. Wine Enthusiast gave positive reviews to dozens of D.O. La Mancha wines, including Condesa de Leganza 2009 Estate Bottled Verdejo and Montgó 2008 Flor del Montgó Tempranillo. In a continued tough economy, American consumers looked for value wines below $15. They came to appreciate La Mancha’s value. As mentioned in this blog post, La Mancha can bring high-quality wine in the price points of $6 to $15. About.com recognized La Mancha brings great value under $10 in its story about pairing good wine with Spanish food. Even wine retailers, like the Boulder Wine Merchant with its description of Campos Reales, use La Mancha’s value to help consumers buy the perfect wines that won’t break the bank.